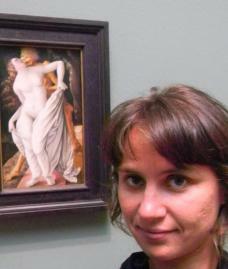 Sara Frier is studying sixteenth century art under the supervision of Professor Nicola Suthor. She holds a B.A. in Art History from Bard College in Annandale-on-Hudson, New York and an M.A. in early modern Netherlandish Art History from The Courtauld Institute of Art in London. Her interests in the field include body deformation, violence the macabre, print and popular media.